The original mass market cover. I started reading this series a long, long time ago. Back when Jordan was still alive, and there was hope and promise that the story would reach some sort of conclusion though with every book released it was dashed, only to be sprung anew. As a huge fan, I didn’t care if it never ended. That is, until the day he died, when I realized it never really would. He did leave notes, and partially written drafts of scenes, and other things to guide those who came after. And I’m sure Brandon Sanderson and Jordan’s wife Harriet McDougal did a remarkable job finishing what Jordan started under the circumstances. I’ll find out sooner or later. But since these books are epics the likes of which George R. R. Martin only dreams about, they take awhile to read and/or listen to, and by the time you get to Book 6 or 7 it’s not uncommon to completely forget what happened in Book 2 or 3. I couldn’t just read the last few without refreshing my memories. I mean, that just wouldn’t be fair, right? The fact is, I love the world he created, and I love the characters. I hate to give them up, and I can totally understand why he never finished the tale. How do you put an ending on the circle of life? It’s a circle! Constantly turning, constantly renewing and evolving. Always changing, always pushing forward. Plus, how do you bring an end to something you love that much? As an author, I totally get it. As a reader, I’m right there with him. I never want my favorite books to end. I’ll read them twenty times in an effort to keep the magic just awhile longer. 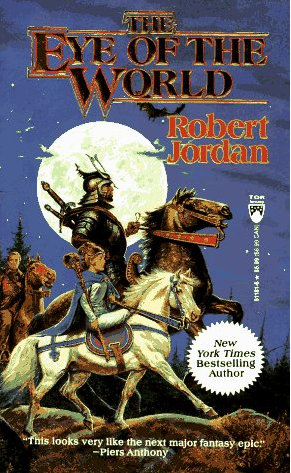 So to give The Wheel of Time the proper fan-girl attention, I started the series over at the beginning. I listen to them all on audio book, because the narrators being the story to life in such a delightful way, and because I can then listen while I exercise. (The same narrators read for the entire series, which is astounding to me given the sheer length of the series.) It turns a task I find especially trying into one I can lose myself in. It works better than music, for me. I forget how long I’ve been walking, how fast, how tired or hungry, or anything, because I’m somewhere lost with Rand Al’ Thor or Egwene and Nynaeve. If you’ve never heard of the series…I’m not entirely sure what planet you live on. But suffice to say, it’s epic fantasy, and legendary for both the length of the series, the length of the books, and the depth and breadth of the characters and plot lines. It has all the twists, and then some, of anything in Game of Thrones, but without the bloodshed to your favorite characters. Sure, there’s war and things like that, but there’s a core group guiding the adventure who remain relatively intact. At least…until the very end. Since I haven’t read the very end I can’t speak to whether they all die in the Final Battle or not. I hope not. But having lived a lifetime with them I’ll understand if they do. 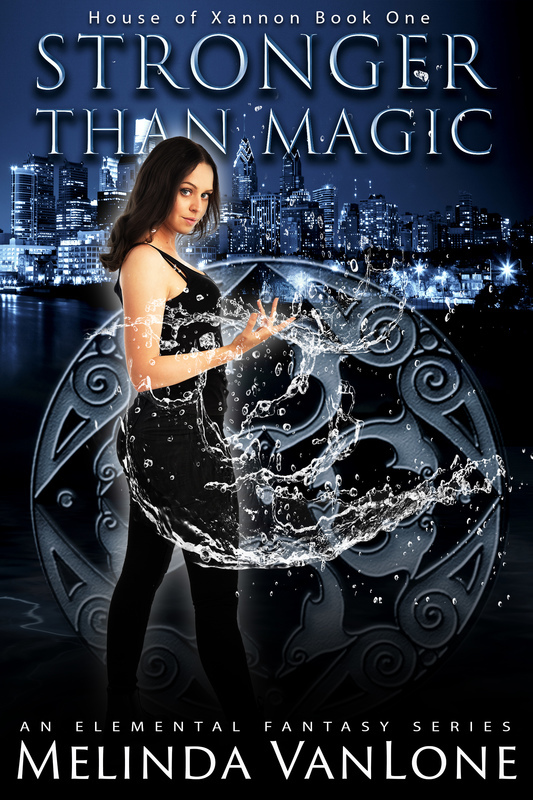 The updated cover, for ebooks. I hate it. I wasn’t a fan of the other one either, but this…doesn’t fit the story. At. All. But I digress. Really, I’m re-listening to all of these because it’s one of my favorite series and because it’ll keep me in exercise entertainment for a long, long time. There’s 14 epic length books in the series, each one about 10 hours of listening time, give or take. Break that down into 30 minutes segments and you can see why I’m only on Book Seven. 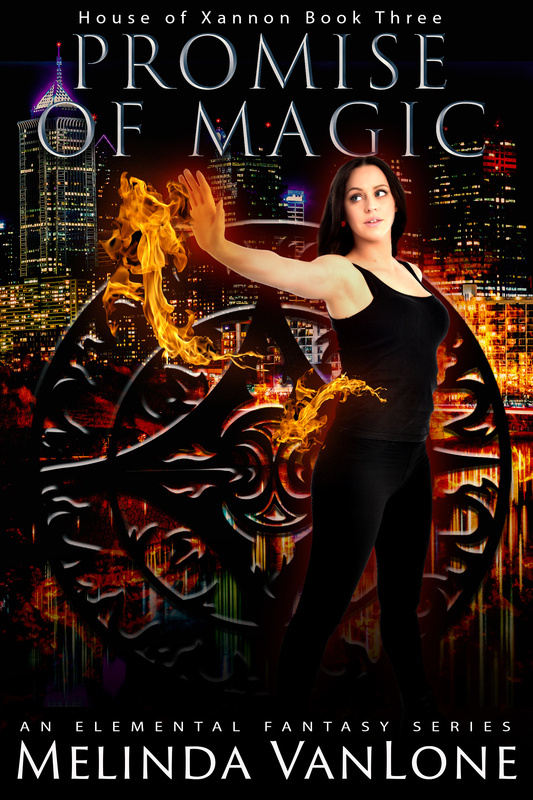 If you love fantasy, and epic adventures of good vs. evil, right vs. wrong, man vs woman…wait, man working with woman…wait…oh heck, both of those and more, pick this up. 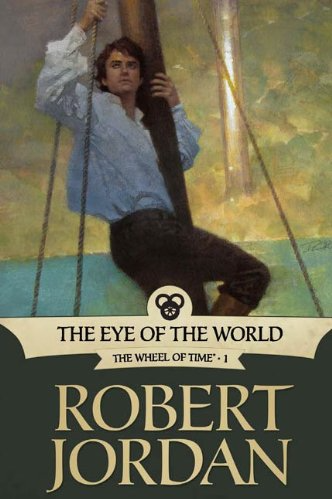 Start with Book One, The Eye of the World. Read them in order, because it won’t make sense if you don’t. Each builds on the other until the story is so complex you’ll need therapy to figure it all out.